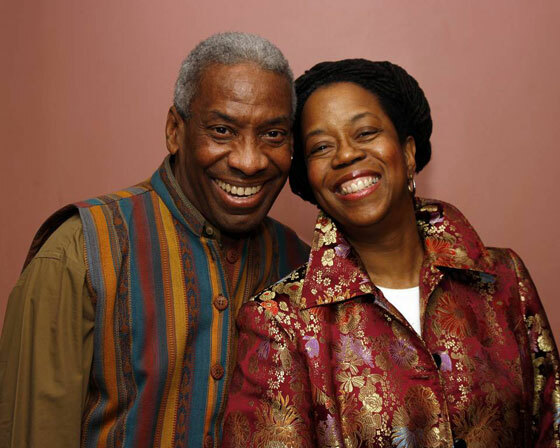 Kim & Reggie Harris are indeed stalwarts of the folk music community. Their powerful music, tinged with gospel and aspects of pop, classical and other forms of music, make their performances a sheer joy. They’ll be coming this Saturday night to Brockton’s Javawocky Coffeehouse. The duo, each born and raised in Philadelphia, has performed with other folk music icons over the years, including Pete Seeger, Tom Paxton, Bernice Johnson Reagon, Ysaye Barnwell and others. They are known not just for their music, but for their involvement with the modern Civil Rights movement, and they’ve won acclaim for their CDs “Steal Away” and Get On Board” (Appleseed Recordings). They have performed worldwide. The show at Javawocky will feature opener Patti DeRosa, will take place at 7:30 p.m. at the Universalist Unitarian Church of Brockton, 325 West Elm St., Brockton. For more information and advance tickets, visit the website.